If you are looking for a luxury lodge , this Swift Champagne at St Audries Bay in Somerset could be for you. 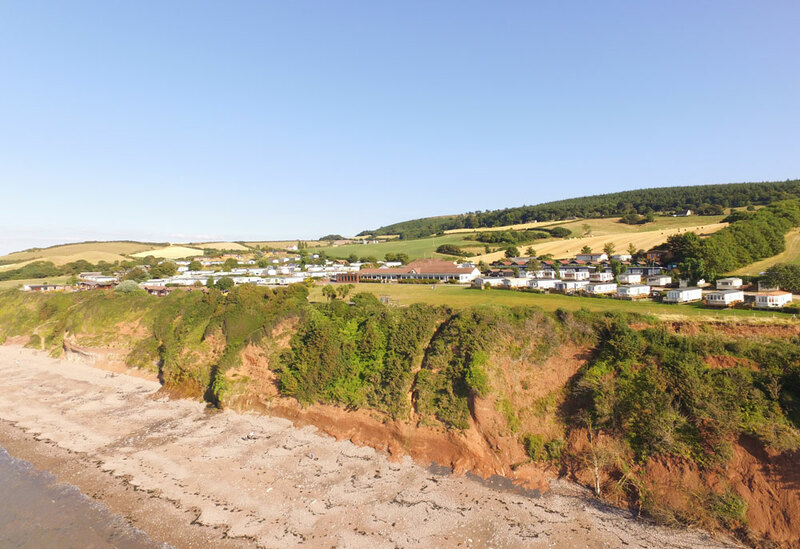 With a luxury specification and popular layout, you can see why this holiday home has been a firm favourite over the years and hasn’t altered much still to this present day. The Swift Champagne was placed onto our first lodge development “Seaspray” at St Audries Bay in West Somerset in 2010. The Seaspray lodge area was created to take advantage of the wonderful position with views reaching across the sea. You can enjoy the spectacular sunsets across the ocean from the comfort of your very own lodge. This particular plot was purpose built for this holiday home. It has a lovely garden and a huge front and side deck to create an outside living area. This carefully links the outside to the inside with the large front opening doors and large floor to ceiling windows which run across the front of the lodge. The end result a bright and open lounge area to enjoy that sea view. The Swift Champagne has a timber clad exterior and has wood grain windows and charcoal coloured front windows and patio doors. The Swift Champagne has a modern designer kitchen and includes a full size American fridge freezer and dishwasher. The pull out food storage area creates a brilliant space for all of your ingredients so great for those aspiring cooks out there. The main bedroom is a triumph for the designers at Swift as it incorporates a walk in wardrobe, Velux skylight, reading lights, vanity unit plus a en-suite with Bath! If you would like to arrange a viewing of this luxury lodge for sale in Somerset, then please call Richard on 01392 271 222.